Yesterday the temperature made it up to 64 degrees – warm, sunny, no wind – perfect spring day – warmest day since October 29 last fall. 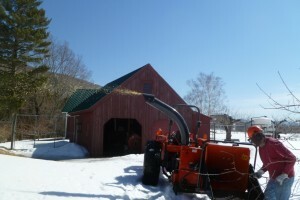 Snow is finally gone in the orchard. We had 130 inches for the winter. 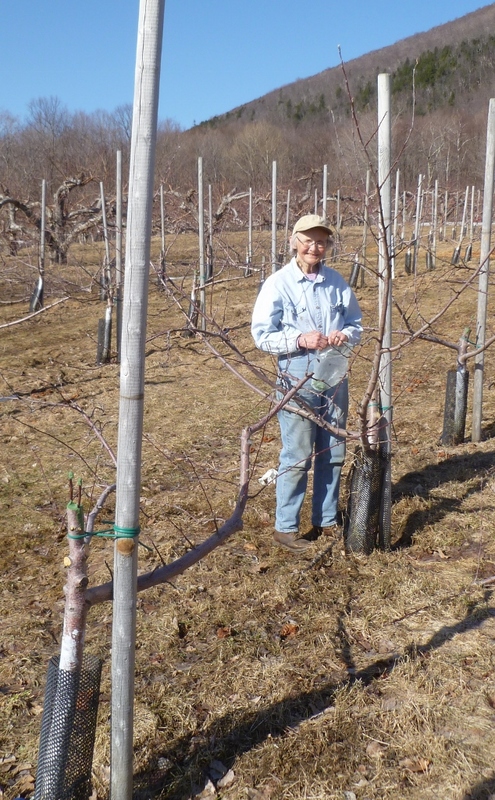 We took advantage of the beautiful day to graft 60 of our Fuji trees (which have not done well) over to Zestar which has been one of our most popular early apples. The choice was to wait until we could get more new Zestar trees in spring 2018 or cut the center out of the Fujis and insert small scion wood from our Zestars. In the attached pictures you can see the small twigs capped with green wax to keep them from drying out. So in three years we will start getting more Zestars. It was a long day, but we are pleased with the results. We have made it to April. 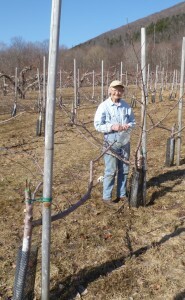 The snow (of which we still have plenty) has melted down enough that we have been able to start pruning again. 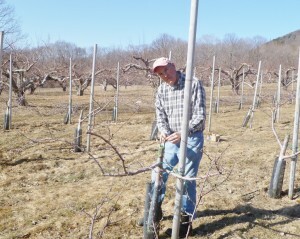 It has been too deep to get out in the orchard since early January. February average temperature was 5 degrees and it was coldest recorded month ever. 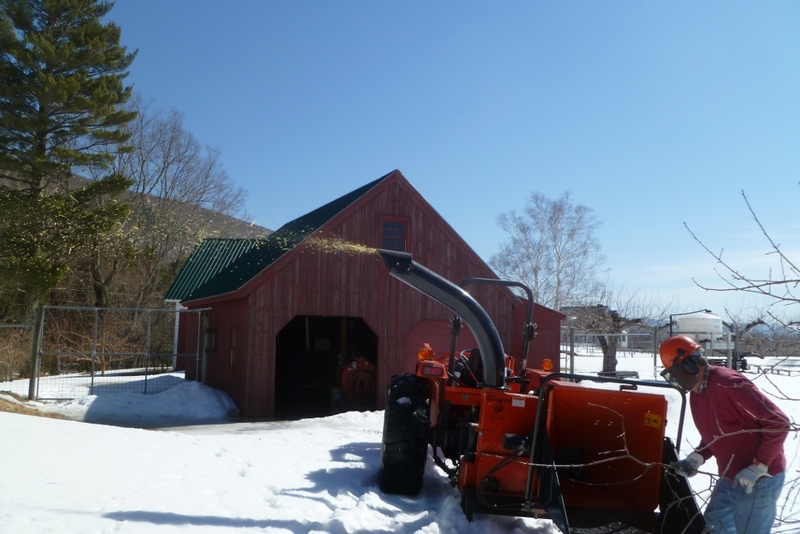 The new chipper is making brush clean up much faster – we need to be faster to get the remaining 500 trees pruned. 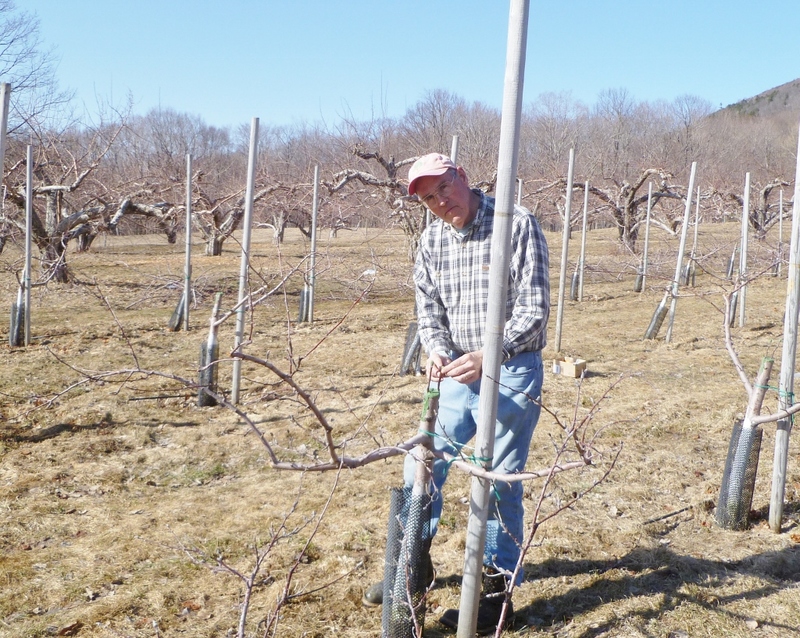 The weather has not been cold enough to damage the trees – fruit buds should be fine for the apples and probably ok for the cherries. Raspberries have been covered with deep snow and we have not had freezing/thawing that sometimes causes damage. Bloom will be late this year - probably sometime in second half of May – there are plenty of fruit buds. We are looking forward to Spring !! !